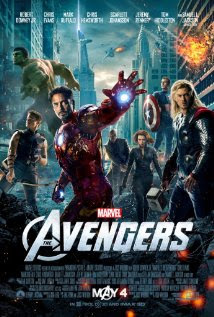 I saw this flick last Friday even after seeing the sad Rotten Tomatoes rating. I thought, "Heck, they trashed Anonymous (another period piece) and that wasn't nearly as bad as the reviews made it out to be, so maybe they're wrong about The Raven?" Unfortunately, they weren't. I'm a sucker for costumes AND John Cusack, so I thought that the combination of the two would make for an entertaining couple of hours. 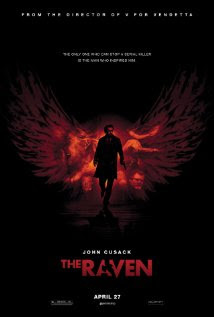 Although Cusack's portrayal of Edgar Allan Poe isn't quite as awful as reviews seem to indicate, despite the physical resemblance, he doesn't really own the role. This is partially due to the writing which have him spouting exposition and dropping Wikipedia tidbits rather than depicting a flesh and blood person. Adhering to period verisimilitude doesn't appear to have been a major concern for the filmmakers. The story opens with hoofs pounding down a Baltimore cobblestone street as the police department races to an apartment building to stop a violent crime (as evidenced by the screams and pleas of a woman's voice) in progress. Clearly a neighbor must have heard the commotion and dialed 911 on his iPhone. Oh wait...no phones (iPhone or otherwise) in 1849. The film also kills off one of Poe's rivals--despite the fact that in real life he lived to write a scathing obituary of the poet/writer. There are those who derided the "twist" as to who turns out to be the copycat killer, but that didn't really bother me much. What I found unappealing about the movie was that the murders--while certainly grisly and gruesome and gory--didn't resonate as "Poe-tic" to me. I did a paper on the writer in high school and while I don't have a vivid recollection of his work, I did note that the necrophiliac themes were pervasive--even perverse at times. While the film did hint at Poe's affinity for the repellant, Cusack's portrayal was more of a quirky eccentric (complete with pet raccoon) than a twisted, tortured soul. Like one of Poe's most famous stories, The Tell-Tale Heart, The Raven is meant to be a bit of a mindfuck--at least on the part of the killer toying with the object of his homage. Unlike that gothic classic, however, the movie does little to build suspense and tension and the climax is less of a shattering revelation and more of a tired whimper.